The Cow Palace Inn is located in Lamar, Colorado, and has been proudly serving the area since 1972. 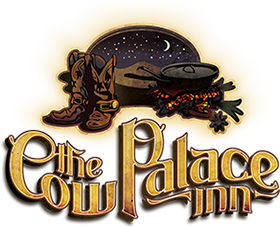 Recently acquired by new management, The Cow Palace Inn has, and is undergoing extensive renovations. If you are a previous patron of The Cow Palace Inn, or a first time guest, we invite you to come stay with us and experience our hotel for yourself. All well-appointed guest rooms offer a flat-screen television with cable, coffee maker, alarm clock, hair dyer, iron and ironing board. Some rooms feature a desk, balcony, refrigerator and microwave. Its perfect location and convenient access to area attractions make the Rodeway Inn Cow Palace a great place for business and leisure travelers in the Lamar, Colorado area. Book a room with us today, we look forward to your stay. There are still many future plans for Rodeway Inn Cow Palace, one being the Corral Grill in the courtyard.